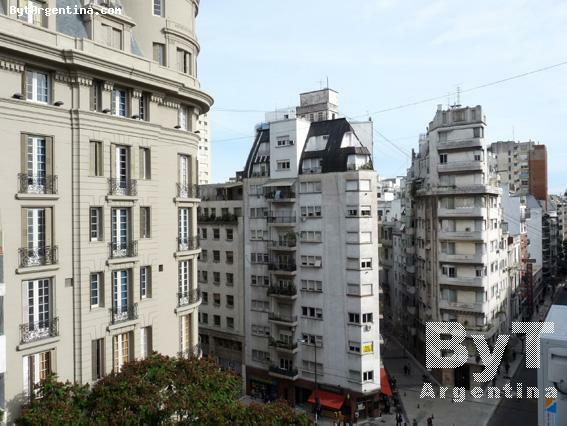 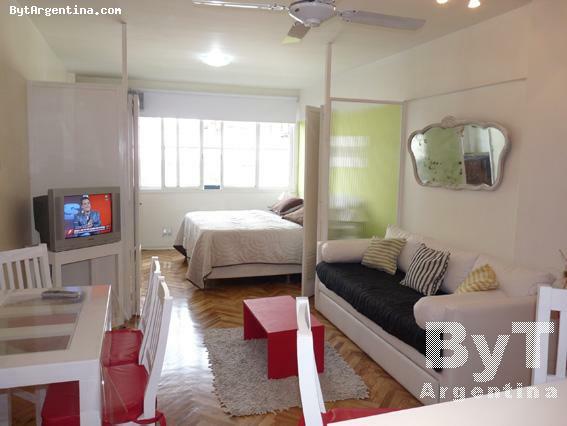 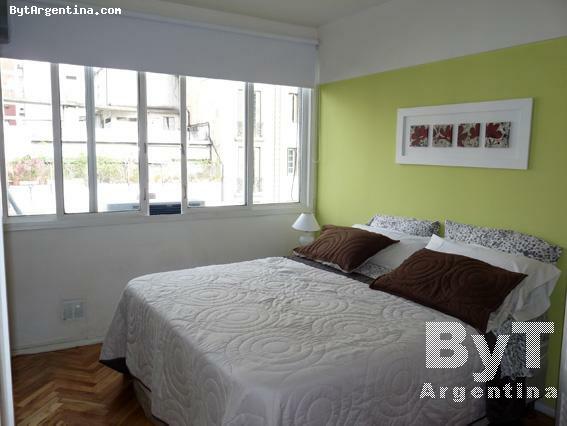 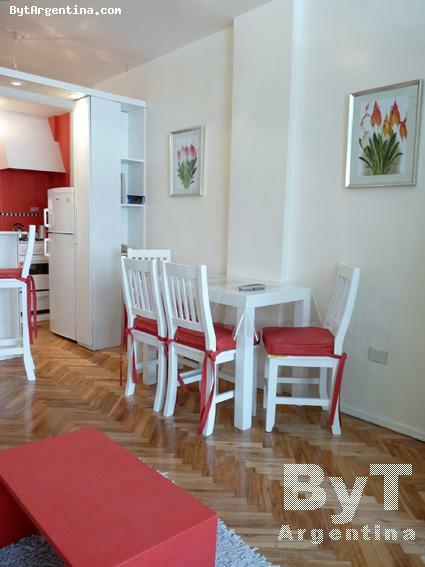 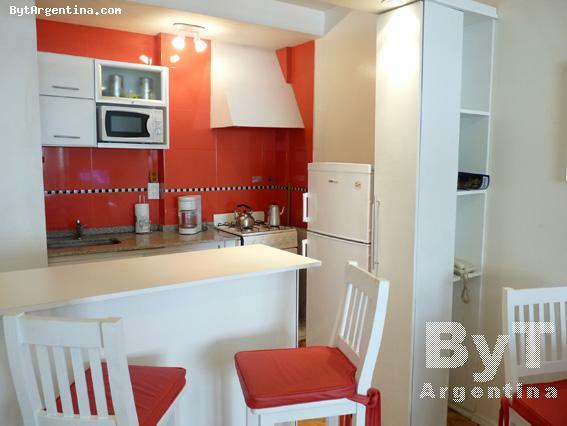 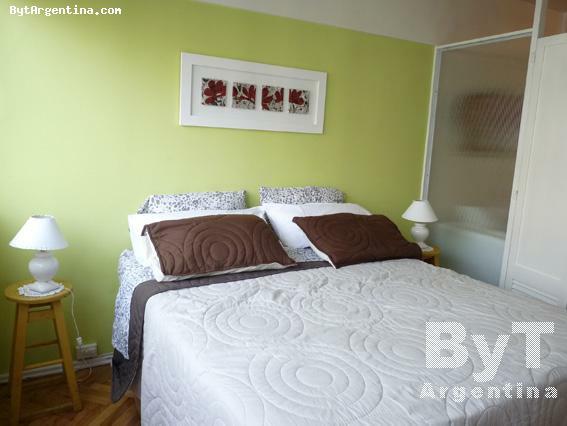 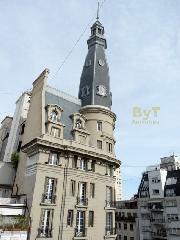 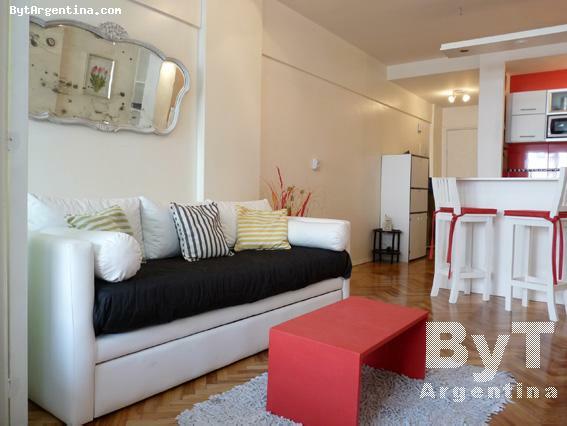 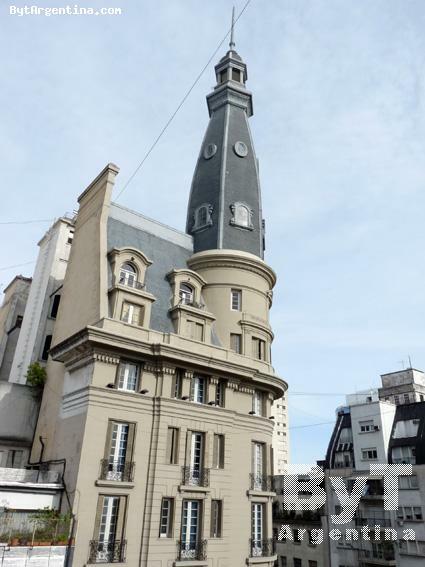 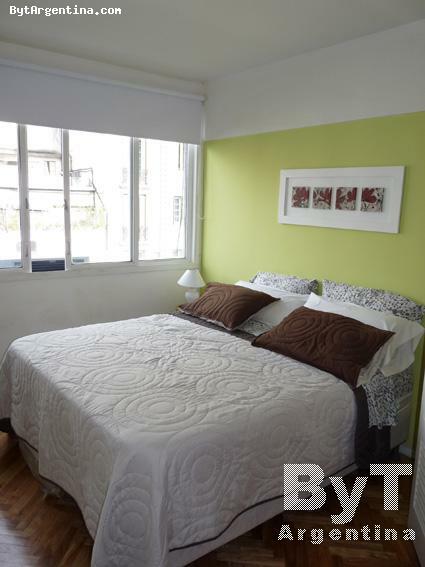 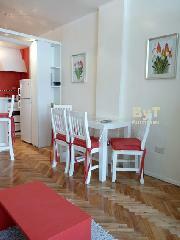 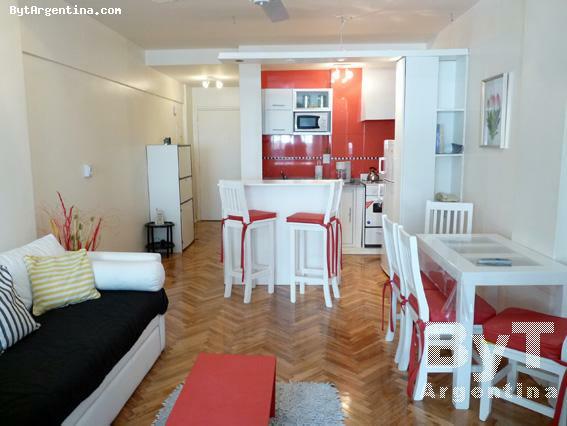 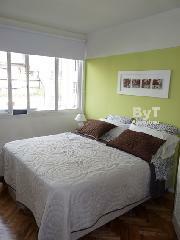 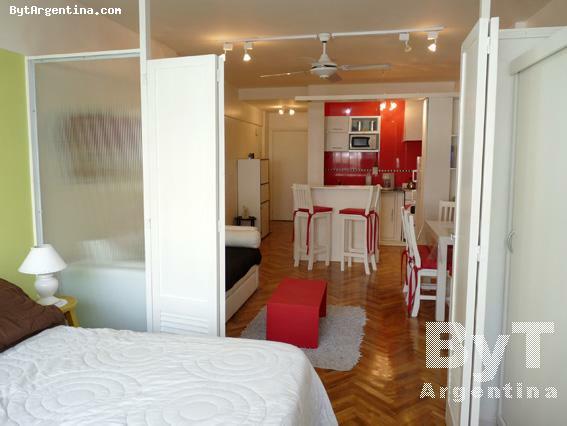 This bright apartment is located in the Buenos Aires dowtown, just one block away from the Corrientes Ave. -known as the avenue that never sleeps because its multiple bars, bookstores, cinemas and theaters open late at night-, with its several public transportation including the subway stop. 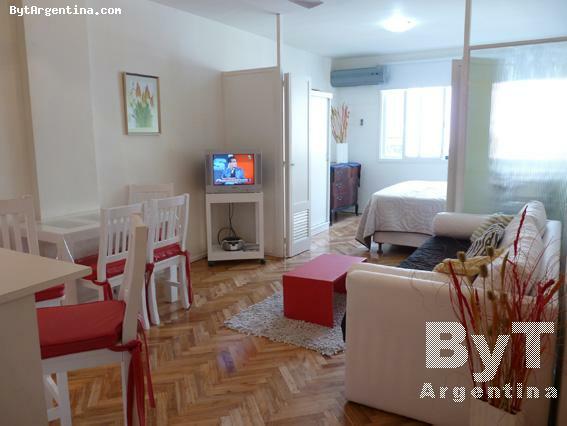 The flat offers a living-dining with a sofa-bed and a table for four people, a bedroom area with two twin beds (convertible in a queen size bed as shown in the pictures) an equipped kitchen connected to dining area and one full bathroom. 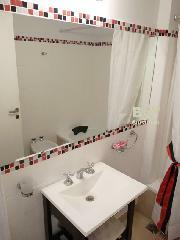 It is equipped with Wi-FI Internet, cable TV, air conditioning, fridge with freezer, microwave, dishes, kitchenware, linens and towels. 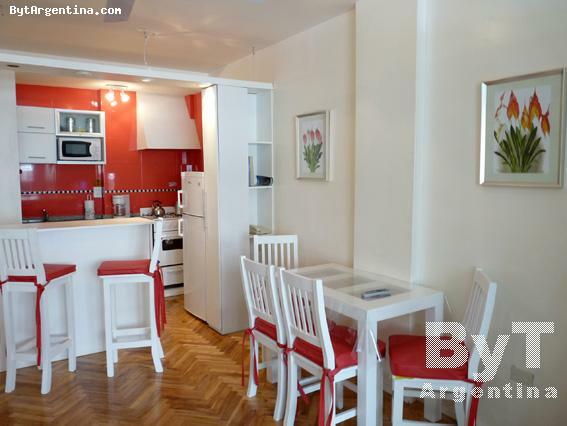 Observations: Stay minimum 3 days!